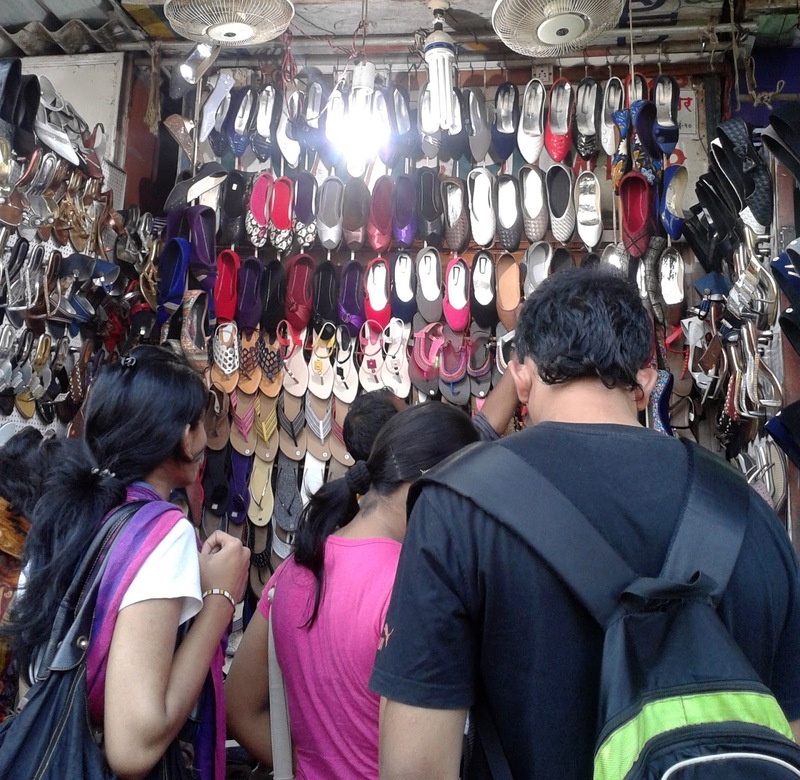 One of my favorite budget places to shop in Mumbai is linking road. The clothes are passable but I love the crowded little stalls selling the shoes. 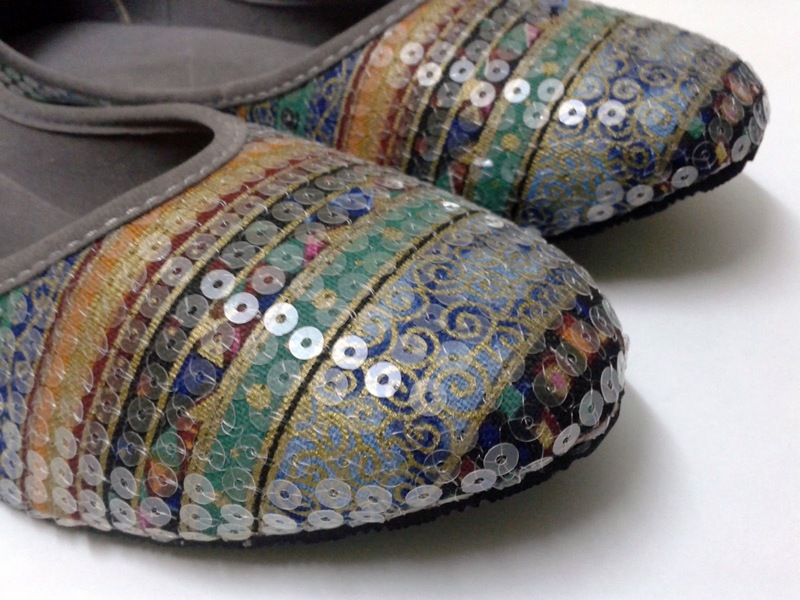 I like shoes with a traditional twist to it especially the kolhapuris in cool colors. 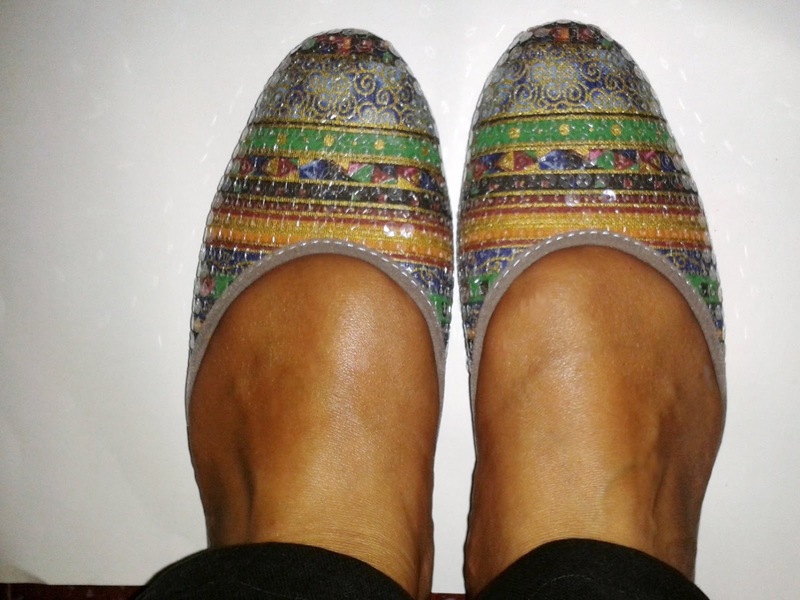 They go perfect with just a white shirt and a pair of blue jeans.I picked up two pairs of shoes this time. 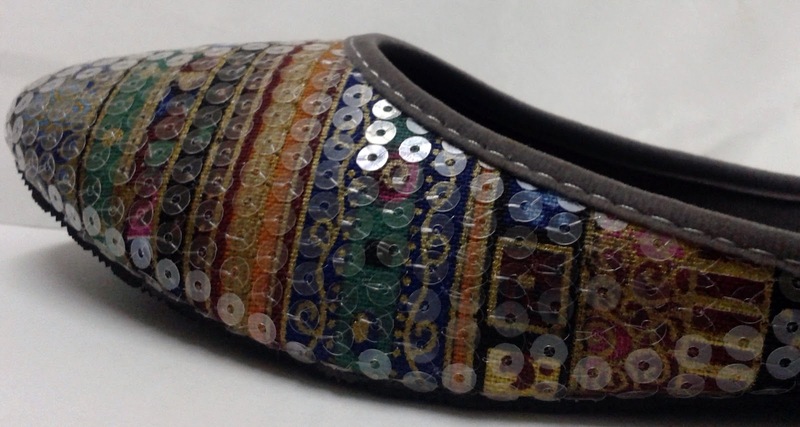 A pair of ballerina flats with a traditional print covered with clear sequins giving it a faint shimmer. 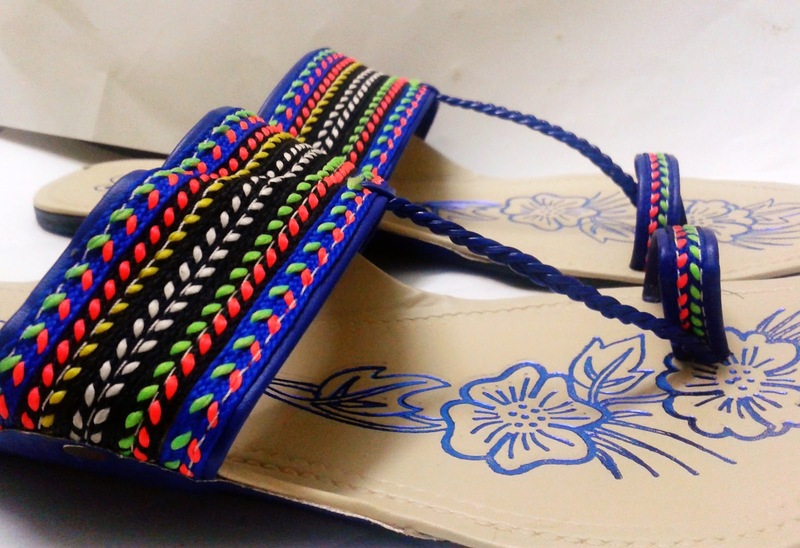 I also got a pair of blue kolhapuris with neon embroidery.